So glad to share time with you on this site as I offer some great insights on how optimism fueled my running performances and granted me a more fulfilling life. Legend. Ground Breaker. Winner. Is there any other way to introduce Deena Kastor? Deena's successes in running started early, as a five-time California state cross country and track champion competing for Agoura High School in Aguora Hills. From there, she attended University of Arkansas where there was no slowing her down. While earning a degree in English with a Creative Writing concentration and a minor in Journalism, Deena would earn four SEC titles and 8 All-American honors with the Razorbacks. After college, Deena would go on to set 10 American Records in distances ranging from 5k to marathon (some of which still stand today), and she has represented the USA on 19 World Championship and Olympic teams. Though she excelled at many distances, Deena's impact has been greatest felt in the marathon. In 2004, she brought home a bronze medal from the Olympic Games in Athens, the followed in 2005 with a win at the Chicago Marathon, and a 2006 victory of the London Marathon, where she set the American record. 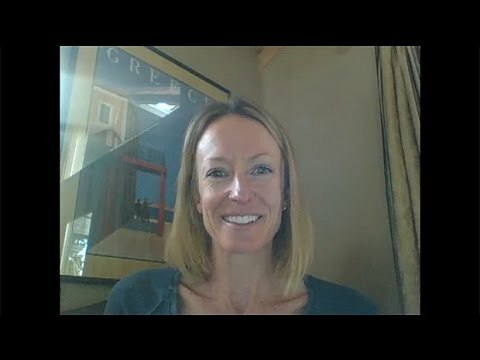 In 2013, following a 9th place finish at the World Championships Marathon on Moscow, Deena stated that it may have been her last high-level marathon, however in 2014, she set the Women's Masters World Record for the hald-marathon, and the following year, set the Women's Masters American Record in the marathon. Deena now trains with the elite Mammoth Track Club under the tutelage of spouse and coach Andrew Kastor. She enjoys the simple mountain lifestyle and spending time with her husband, daughter Piper, and French Mastiff Zita. On her successes, Deena says, "I spent my career finding the key to great performances, and found that optimism always serves in getting me closer to my goals. I get a thrill from collaborating, and see that synergy is essential for everyone to succeed." True to her spirit of collaboration, Deena is an active member on the board of AthleteBiz.